The second edition of Polish Music Days came to an end in December 2014. A year earlier Polish music could be heard in Australia, New Zealand, Canada and USA. In 2014 this music came to Central Asia. 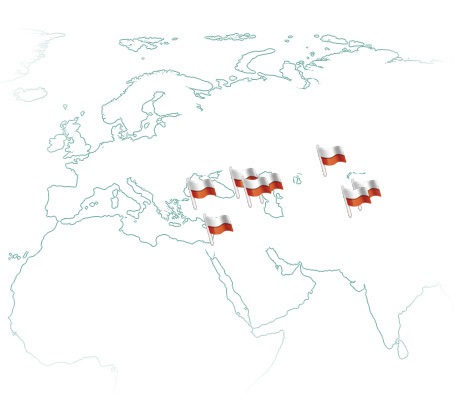 Polish musicians were performing in Georgia, Armenia, Kazakhstan, Kyrgyzstan, Azerbaijan, Turkey and Israel. “Your concerts went like a bomb!” remarked wittily one of the high-ranking diplomats commenting on Polish Music Days project. 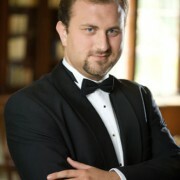 This opinion also reflects the enthusiasm of the audiences gathered at this year concerts. Among them two groups of spectators might be distinguished; the first one comprised Poles who live abroad, whereas the second consisted of music connoisseurs and people who are not linked with Poland in any way. For Poles and their descendants the concerts were one of the rare occasions to maintain contact with their homeland and feel the spirit of Poland. They were also a chance to show their home country to their friends and acquaintances. Therefore, Polish Music Days have become a real cause of pride and joy for many people. The concerts of Polish Music Days play an important role in the promotion of Polish music and culture. Their varied repertoire is undeniably their great merit. Apart from presenting the works of Frederic Chopin, Ignacy Jan Paderewski or Krzysztof Penderecki, that are widely recognized all over the world, the concerts provide an opportunity to familiarize music enthusiasts with the music of lesser known composers of the younger generation. Zbigniew L. Lampart, Krzysztof Herdzin, Weronika Ratusińska-Zamuszko are the names that are particularly worth mentioning here. 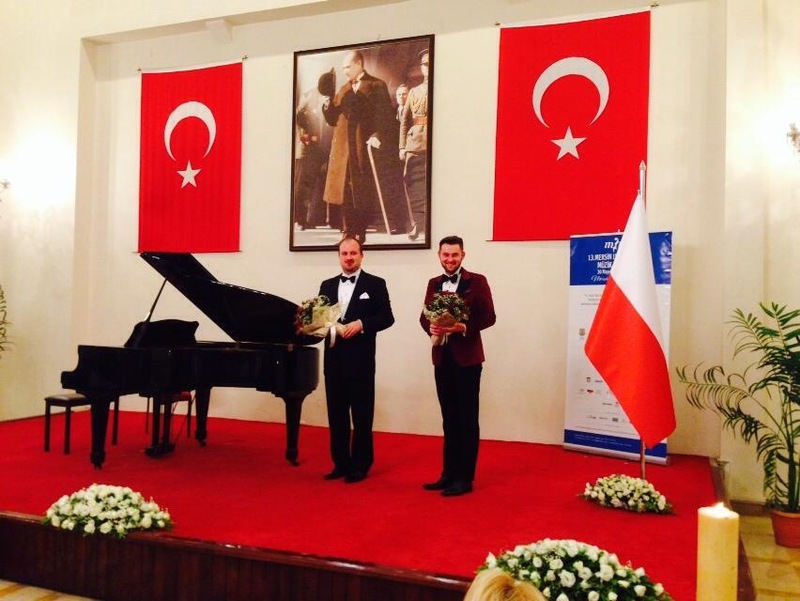 “Your concerts are not only a musical journey to Poland for us, they are like a door to Europe, to which we have a limited access” – said the principal of a music school in Georgia after one of the concerts. This dual capacity mission: acting as ambassadors of Poland and Europe (with a Pole being currently its “president”) is both a great honour and an important duty. Undoubtedly, a good selection and configuration of instruments for particular concerts also contributed significantly to the success of the project. Polish Music Days featured not only the ever-popular piano recitals, but also piano and clarinet, and piano and flute concerts. Very often it was the originality and the uniqueness of such combination of instruments that the audiences found particularly appealing. 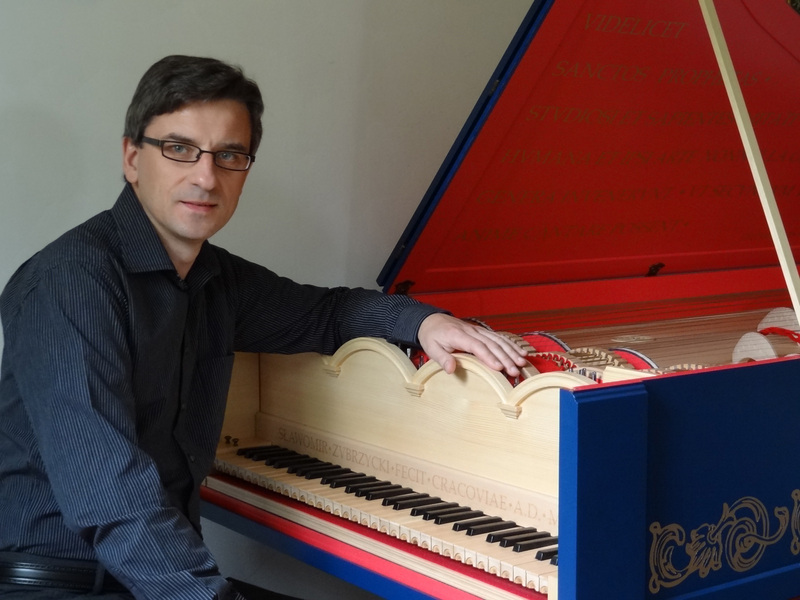 However, it was viola organista – the instrument built by Sławomir Zubrzycki according to the original design of Leonardo da Vinci – that was really something exceptional and surprising for the spectators this year. Firstly, the instrument itself is amazing. Equally remarkable was the music of 15th, 16th, and 17th c. The limited number of concerts was solely due to logistical reasons as viola organista can only be transported by a specially designed car. For Turks, whose first contacts with European classical music date back to the second half of the 19th c., this was an unprecedented event. The concerts attracted not only music lovers but also local artists, musicologists, and even members of the diplomatic corps. 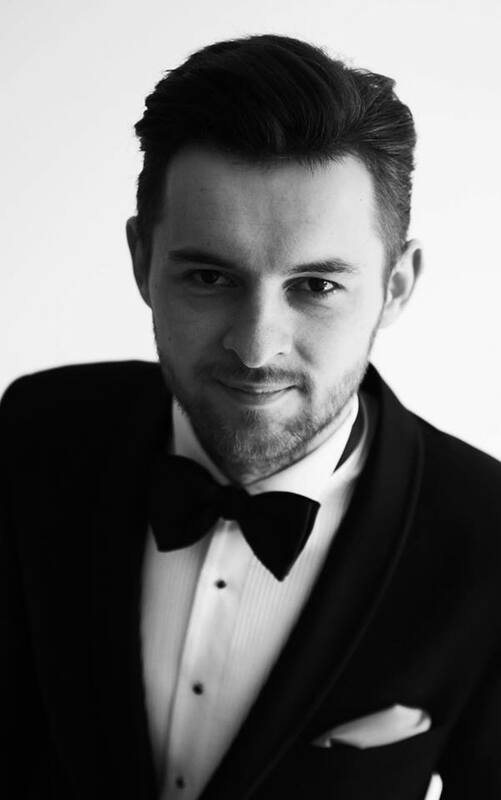 The musicians taking part in the Polish Music Days project have been carefully selected. At the forefront there are artists who have already significantly contributed to the promotion of Polish music all over the world: Marian Sobula, the founding father and artistic director of the project, Patrycja Piekutowska, and Andrzej Pikul. This distinguished team was supported by the soloists: Barbara Borowicz, Agata Igras-Sawicka and Anna Miernik who all have already had numerous successes to their credit. 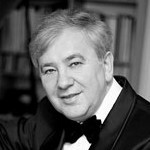 You cannot imagine Polish Music Days without Marian Sobula’s piano recitals. 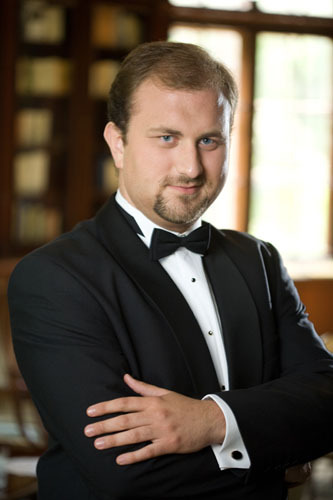 The pianist performs the works of Chopin, Paderewski and Szymanowski. These three composers are the true giants of Polish classical music; each of them presenting its different nature. During these concerts Sobula takes the listeners on an unusual journey, guiding them through the picturesque Polish countryside. 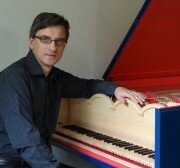 Andrzej Pikul – one of the most eminent Polish pianists and piano teachers – captivated the audiences with the works of Chopin and other Romantic composers. After each concert there were calls for encore and the artist was given a standing ovation. In Turkey a reaction like this to the 19th c. music is a remarkable achievement. Patrycja Piekutowska is probably the most charismatic figure in the project team. ?I?ll never forget her concert? ? frequently declared moved guests. Piekutowska owes her success not only to her virtuoso performances, but also to her scenic personality, which does away with the image of a cool artist who remains aloof from the audience. This year flute music was presented for the first time during Polish Music Days, in masterly interpretation by Agata Igras-Sawicka. Barbara Borowicz, the artist with an ever-expanding portfolio of her musical trophies, performed works for clarinet. All the three artists were accompanied on stage by Anna Miernik, one of the most diligent and talented Polish chamber-pianists. The concerts would not have been so successful without her contribution. Thanks to her exceptional range of skills Anna formed a totally different duo with each of the artists. 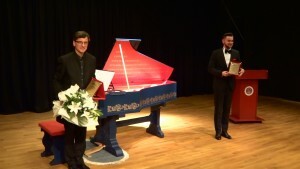 The participation of a master of ceremonies in Polish Music Days concerts adds a new dimension to them and distinguishes this project from similar ones. The fact that a MC introduces the musicians significantly enhances prestige of an event. His role is also to present briefly Polish composers and their music. It naturally provides an opportunity to continue with more stories about Polish culture, history and the country itself. “Wojciech S. Wocław is indeed an excellent master of ceremonies, but he is also an irreplaceable ambassador of Poland, also in all situations outside concerts. He is not a musicologist, but he does have a passionate interest in music. 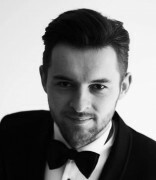 Wojciech is a definite asset to the project team.” – said Marian Sobula, the project manager. The concerts were held not only in concert halls, but also in auditoriums of music schools, conservatories, and universities. 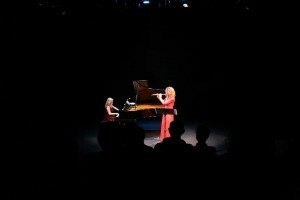 These events were accompanied by master classes co-organized by PianoClassic and its local partners. Participation in such courses was a form of distinction for students from towns which Polish musicians visited. Apart from concerts and master classes, panel discussions were organized. These were attended by both amateur music enthusiasts and professional musicians (instrumentalists, composers) who represented the local musical circles. 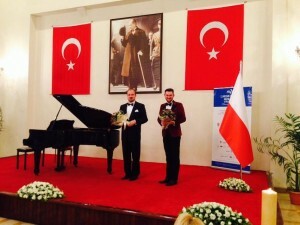 The Polish Music Days concerts in 2014 received extensive coverage in local media. The journalists representing the biggest national radio stations, as well as press and TV reporters were present at several concerts. The materials they produced were frequently not just mere reports, but longer features on Polish culture. Even such prestigious magazine as Forbes (Kazakhstan) informed about the concerts. Polish Music Days – to quote numerous comments of spectators, local citizens, and Polish diplomats – is an extraordinary event on an unprecedented scale. The project is perfectly prepared. Here the credit goes to Magdalena Ormanty, the project coordinator. Thanks to our partners in towns that are the concert venues, there are no organizational problems. The satisfaction from the job well done and responsibility for ongoing tasks were the reasons why – already in the middle of 2014 – we started preparations for the next edition of the project: Polish Music Days 2015. This time Polish music will be performed in the countries of Latin America.